The supermarket was offering fresh cucumbers by the case load for an amazing price that I’d be silly to pass up. 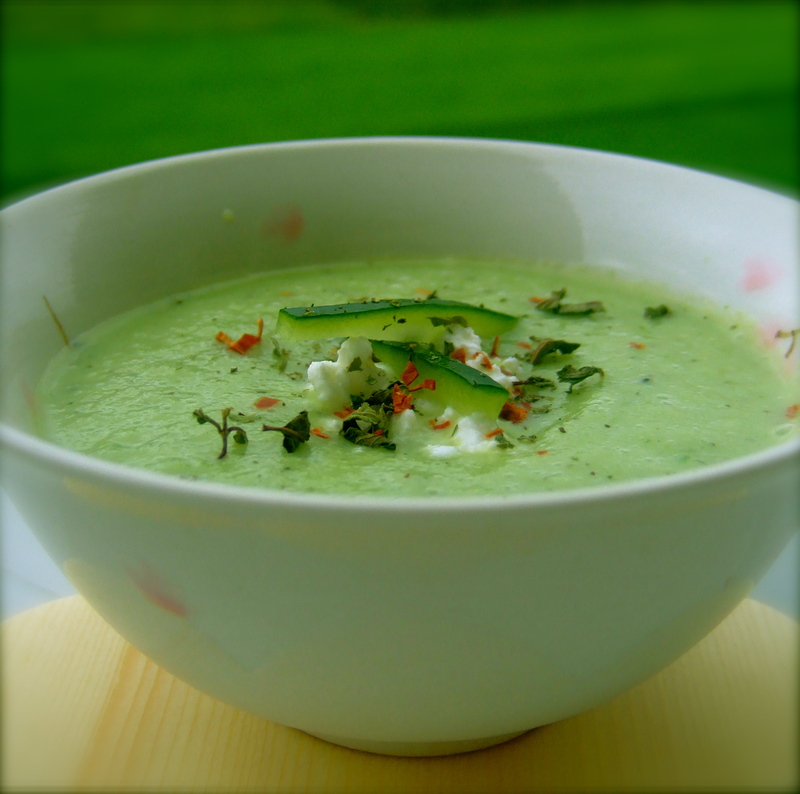 The first dishes that came to mind were an Indian raita and a cold cucumber soup. First up is the soup. You could drink this as a savoury smoothie (after my first taste I instantly thought of gin. I reckon this soup would work as an amazing mixer for Hendricks) in a glass, topped up with ice, or enjoyed simply in a bowl as a soup. What better way to celebrate summer than with a cold soup and salad. serve in a glass filled with Ice or in a bowl as desired.